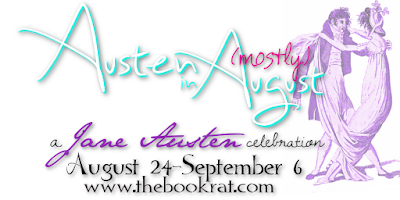 The Book Rat: REMINDER: Sense & Sensibility Watch Along Party! 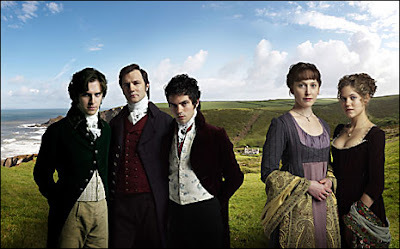 This is your friendly reminder that the twitter chat & watch along of PART TWO of the 2008 version of Sense & Sensibility is THIS SATURDAY, 8pm EST! It is roughly 1 1/2 hours long, which means an hour & a half of chatting swoony Austen men and hating on Fanny Dashwood and Lucy Steele with me and a handful of other ardent Janeites. There are definitely worse ways to spend a Saturday evening! Again, this Watch Along will be part of an overall Austen Movie Weekend, so keep an eye on the blog, too, for some more Austen film goodies! While we're on the topic of -Alongs, hope you're enjoying our Sense & Sensibility Read Along, as well; remember, the first set of discussion questions is up for your consideration, and the remaining questions will go up at the end of AIA!